Solexir-ADH6300 is a mixture of low molecular weight organic solvents with zero effects on depletion of Ozone layer. Application of Solexir-ADH6300 causes decomposition and dissolution of adhesive material. 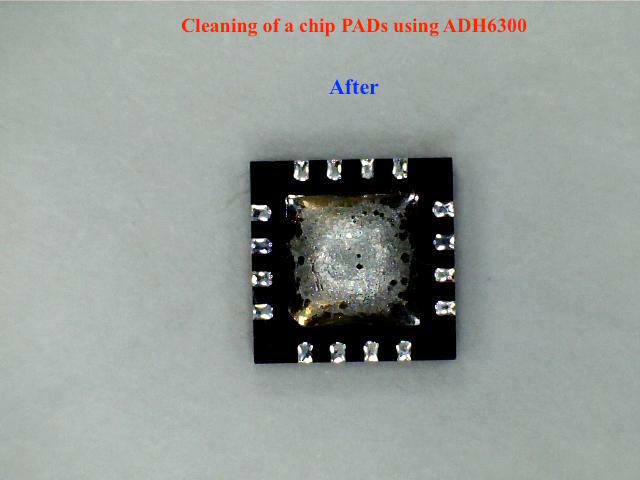 Solexir-ADH6300 is used to remove hard-to-remove adhesives, specially UV cured adhesives. For More information Please contact us. 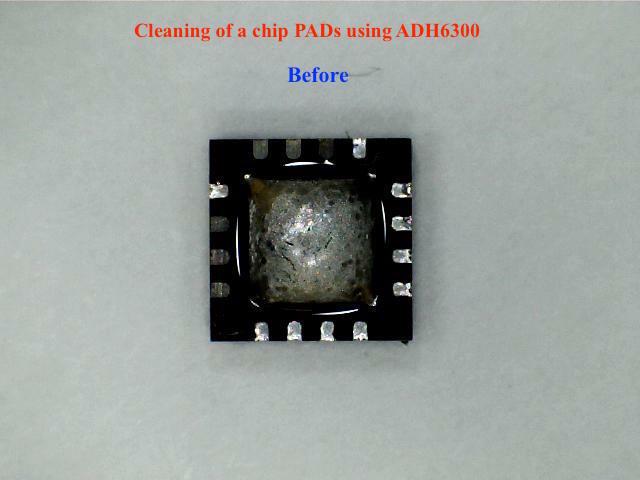 2- Soak your sample inside the Solexir-ADH6300. Whipping the glue off the surface using a fine brush will help. 3- Dry samples immediately to eliminate any risk of airborne contamination.